Collection. 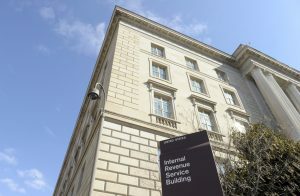 In special circumstances—such as when a taxpayer has an overdue tax bill or to secure a delinquent tax return or a delinquent employment tax payment—IRS revenue officers will sometimes make unannounced visits to a taxpayer’s home or place of business to discuss taxes owed or tax returns due. They will not demand that a taxpayer make an immediate payment to a source other than the U.S. Treasury. Audits. IRS revenue agents will sometimes visit a taxpayer who is being audited. IRS employees conducting audits may call taxpayers to set up appointments, but not without having first notified them by mail. After mailing an initial appointment letter, an auditor may call to confirm and discuss items pertaining to the scheduled audit. Criminal investigation. IRS criminal investigators may visit a taxpayer’s home or place of business unannounced while conducting an investigation. However, these are federal law enforcement agents, and they will not demand any sort of payment. Criminal investigators also carry law enforcement credentials, including a badge. Verification. Taxpayers should keep in mind the reasons these visits occur and understand how to verify if it is IRS knocking at their door. If an IRS representative visits a taxpayer, he or she will always provide two forms of official credentials called a pocket commission and a HSPD-12 card. The HSPD-12 is a government-wide standard for secure and reliable forms of identification for Federal employees and contractors. Taxpayers have the right to see these credentials. Demand that the taxpayer use a specific payment method, such as a prepaid debit card, gift card or wire transfer. IRS will not ask a taxpayer for a debit or credit card numbers over the phone. Demand that the taxpayer pay taxes without the opportunity to question or appeal the amount they say the taxpayer owes. Generally, IRS will first mail the taxpayer a bill if he or she owes any taxes. The taxpayer should also be advised of his or her rights as a taxpayer. Threaten to bring in local police, immigration officers, or other law-enforcement to have the taxpayer arrested for not paying. IRS also cannot revoke a taxpayer’s driver’s license, business licenses, or immigration status. Threats like these are common tactics that scam artists use to trick victims into buying into their schemes. This entry was posted in Newsletters, Tax Tip by DottsHamiltonInc. Bookmark the permalink.